Joliette Récréatif is the largest used motorcycle dealership in Joliette. Whatever your needs are, our team of experienced advisors helps you find the perfect vehicle. We offer a very large choice of used motorcycles from the leading brands, from Yamaha to Kawasaki and include Harley Davidson, Suzuki or BMW. All our used vehicles meet the best quality criteria to give you complete satisfaction. Feel free to browse our inventory of used motorcycles, ATVs or side-by-side and contact our team of experts for any questions! We are available by phone at 1 866 781-7616 or by filling in our online form. Practice ATV even during the winter! Who said quad bikes and ATV should only be practice during summer? 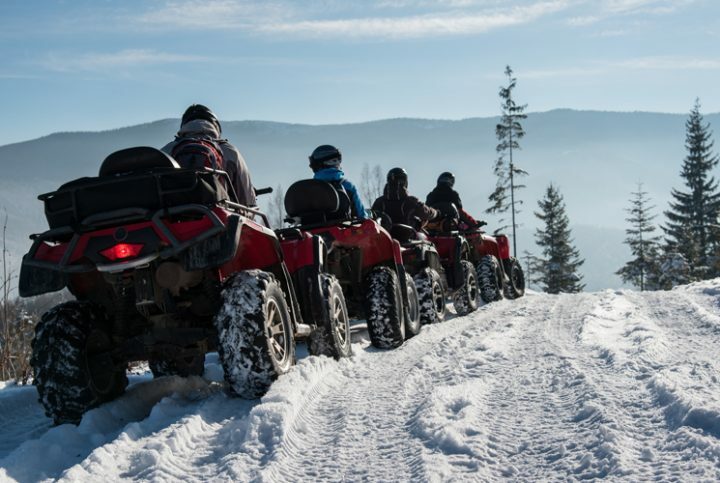 It has been several years since this sport is practiced in any season, thanks to the work of the different quad clubs in Quebec and the evolution of vehicles.